Two Clouds in the Sky: Winter 2012 bracelets. By S.
I present the Winter 2012 Bracelets which I purchased recently in Mexico City to substitute the infamous Summer 2012 Bracelet (click here to check it out!). I figured it was time to move on... And I think these are more appropriate for my warmer more sombre clothes. 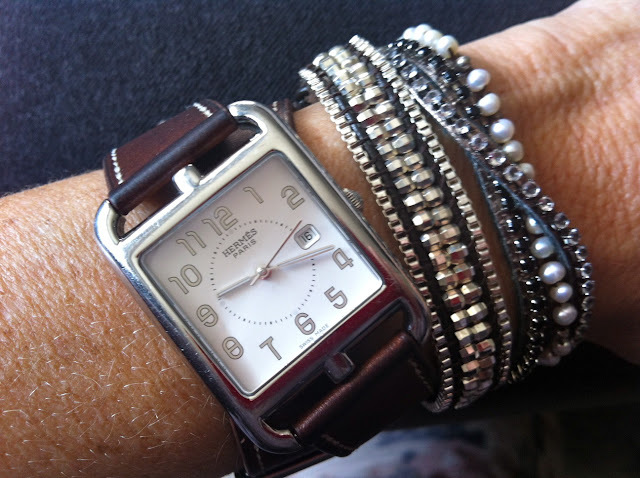 The watch I am wearing is an Hermès Cape Cod bracelet which I got as a gift last Christmas.